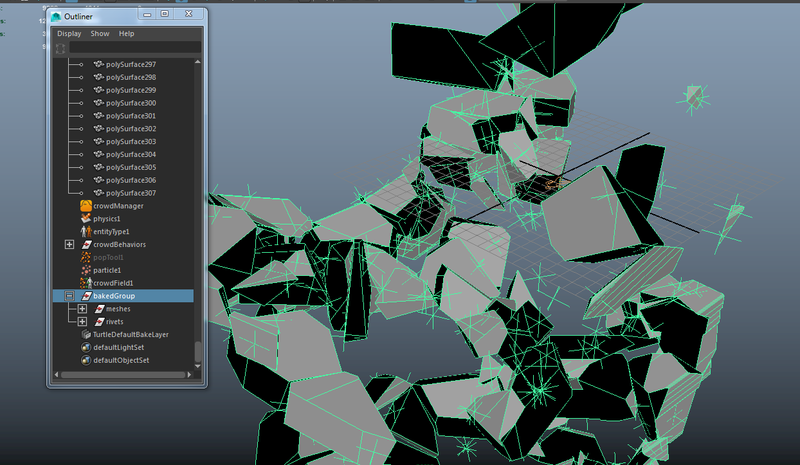 When shattering a huge piece of geometry with nCloth and/or importing third party animated meshes with Alembic, animation of the geometry is stored in the vertices instead of the mesh transform nodes. 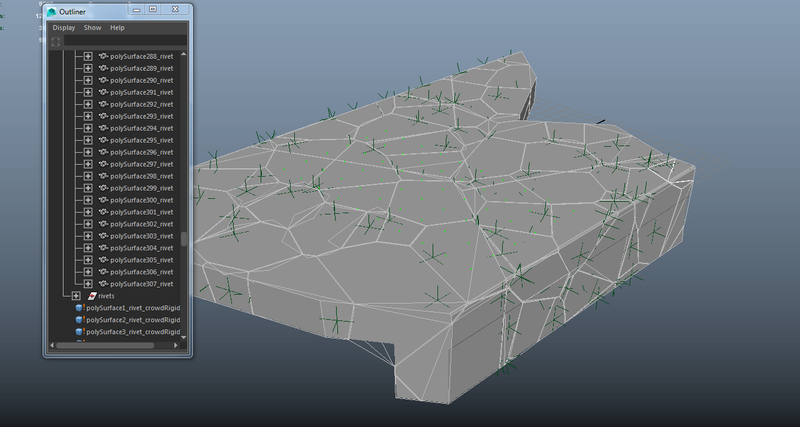 As Golaem Crowd Rigid Body node read the shape in the mesh node but the transformation matrix in the transform you won't be able to use your geometry as is to make your entities collide to it. Please refer to this page to know how to create a physics scene with animated colliders. 2/ Call the function glmTransferVerticesAnimToTransform(). It will duplicate all the meshes you have selected, and transfer vertices animation to the mesh transform using some Maya constraints. This should create a new group in your scene called bakedGroup. 3/ Select the mesh nodes in bakedGroup/meshes (the mesh nodes not the group) and click on the Crowd Rigid Body node in the Golaem Shelf. 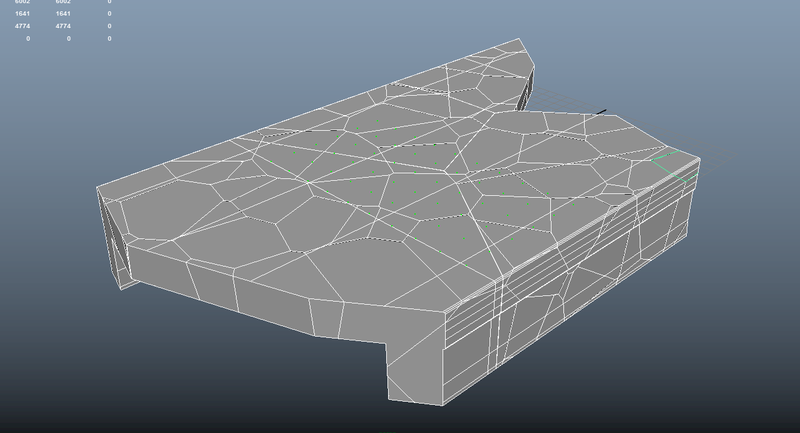 This will create the Golaem Rigid Bodies for each of those newly created nodes. To improve sim results, you may switch the crowd rigid body nodes shape type to Convex Hull. 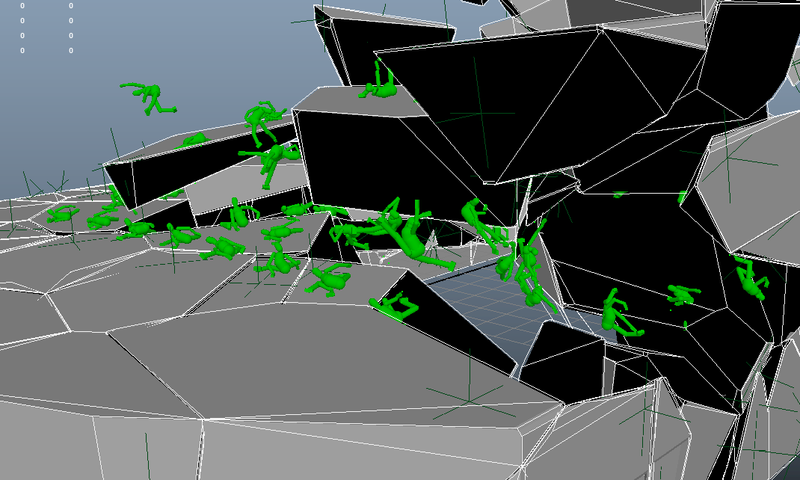 4/ Hit play, Golaem entities shall now collide with the new Golaem Rigid Bodies.